I didn't see this before. 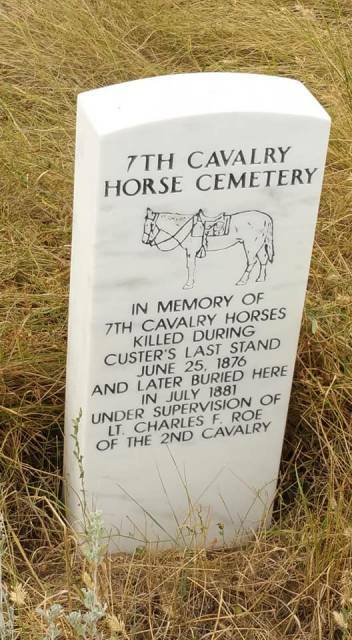 This is the grave site of the 72 horses that were killed in battle. Many of these horses or shot to provide cover for the American soldiers.